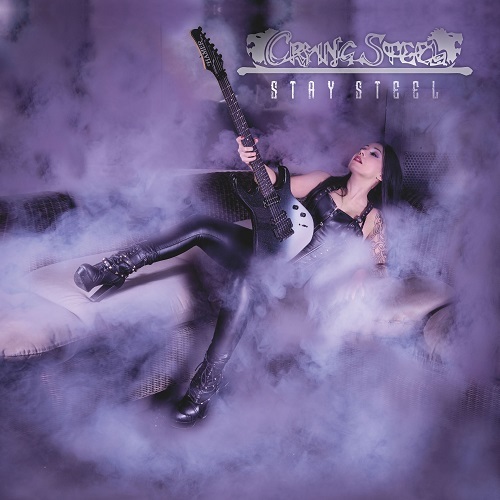 CRYING STEEL originally formed during the early 1980’s in Italy and has existed on and off ever since. The band has released a number of demos, an EP and five full-length albums over the years. “Steel Alive” is their latest offering. It’s actually what used to be called a “double album”, which means that it has twice the amount of music that most albums contain. At 28 tracks long this release does take some considerable time to listen to from beginning to end. Admittedly, the somewhat odd and confusing track order doesn’t help with the situation. I have never encountered an album where two versions of the same song (one a studio version, the other a live track) are listed in such an odd manner. I wonder if the band or their producer even considered a more traditional approach where the studio versions are featured first followed by all the live ones afterward.